The common name of Solanum nigrum is black nightshade or Makoy (Hindi). It belongs to family Solanaceae. This plant grows as weed in waste lands all across India. - We are supplier & exporter of cleaned black himej which is also known as MyrabolansBlack in bulk. 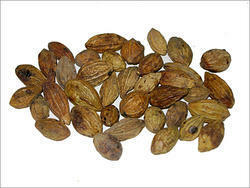 Terminalia chebula is highly regarded for its extraordinary healing powers. It is believed that it can destroy all diseases and eliminate all waste from the body, and also promote tissue growth and health. Packaging Type: Packet, Plastic Jar, Paper Box etc. We are dedicatedly involved in providing excellent quality Dried Ratanjot Root, for catering the various needs of our clients. We are an eminent entity of a comprehensive assortment of Dry Tulsi. 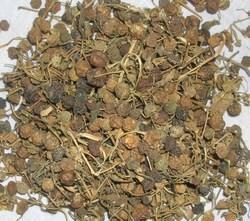 Product description: In order to keep pace with the never-ending demands of customers, we are involved in offering a wide range ofJunglee Dried Tulsis. Dry Thyme is sold both fresh and dried. The fresh form is more flavourful, but also less convenient; storage life is rarely more than a week. While summer-seasonal, fresh greenhouse thyme is often available year round.